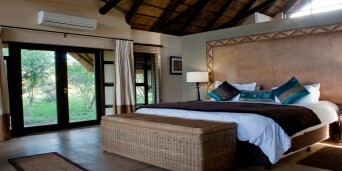 This accommodation in Pilanesberg is only 30 km from Sun City and is situated in the Black Rhino Game Reserve. 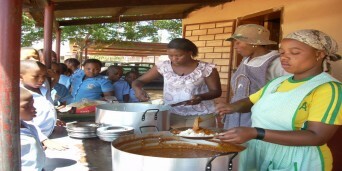 Buffalo Thorn Lodge is a luxury accommodation that is exclusively rented out and can sleep up to ten people. 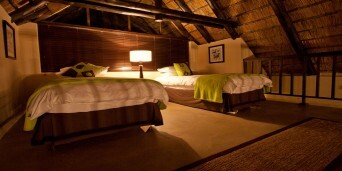 The area is malaria free, has the stunning Big Five and is rich in stunning wildlife. Located in the North West Province this private Pilanesberg accommodation is fully serviced with five luxurious en suite bedrooms. 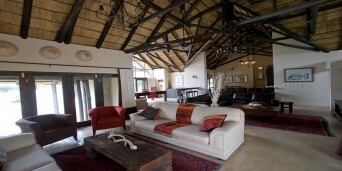 Buffalo Thorn Lodge offers luxury and exclusivity to the discerning guest. 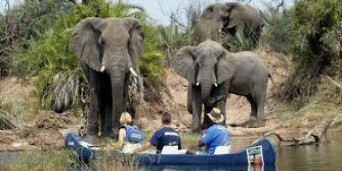 Enjoy a private safari game drive with a personal game ranger and come experience the best of Africa. There are five separate chalets with bar fridges, tea & coffee facilities, outdoor showers, sun decks and Jacuzzi baths, two of the chalets have loft rooms. 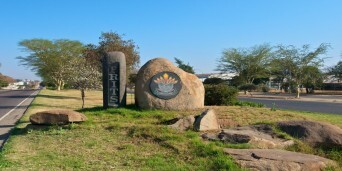 The central area at Buffalo Thorn Lodge has a Lounge with TV and DSTV, a pool table, an equipped kitchen, Gym, Boma with a braai area, hide, deck with swimming pool and an outdoor Jacuzzi. 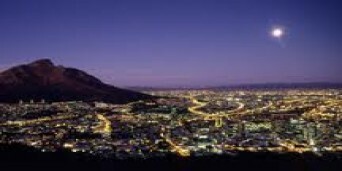 This accommodation Pilanesberg offers, has a wonderful African ambiance where roaring fires can be enjoyed in the Boma under the African night sky while listening to the sounds of the nightlife. An electric fence along the perimeter ensures the safety of the guests. 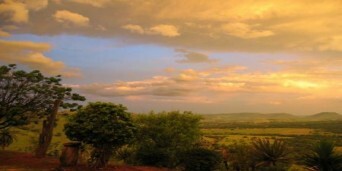 The Pilanesberg Nature Reserve is a well known and distinguished reserve that is connected to the 1800 hectare Black Rhino Game Reserve, giving guests access to 55000 hectares of beautiful bushveld to explore. 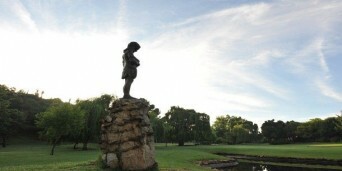 Only an hour and forty-five minutes drive from Joburg, this lodge is the perfect place for a weekend getaway. The rate per night includes: The rent of your own exclusive 5 star- Self Catering Game lodge on Black Rhino Game Reserve in Pilanesberg National Park, 2 x 2 and a half hour game drives per night stay, Daily Serviced by staff, Tea and coffee in the rooms & Daily gate fees included. 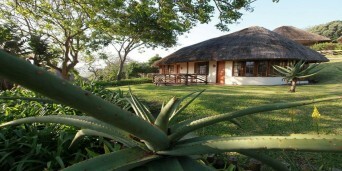 The rate per night does not include: Food, drinks, snacks - lodge is fully self catering. 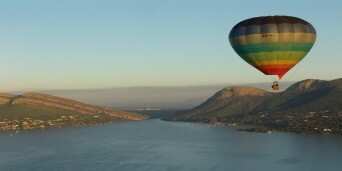 Any additional activities such as hot air ballooning, elephant back safaris. Stay in Pilanesberg at the self-catering Buffalo Thorn Lodge and come enjoy the African bush with wonderful wild animals. 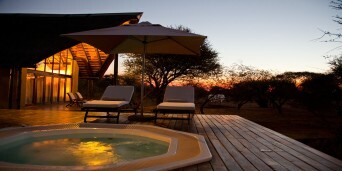 And after a game drive enjoy the refreshing pool with an ice cold drink while watching the sun sink under the horizon. "Great last stop before we went hom"
This was our last stop in our 3 weeks trip around soputh africa and namibia. It has been fantastic. Spoiled with a visit from a big elephant which gave us a whole afternoon show. Lion with three cubs, hipos .... Very friendly staff who did their work very well and with a big smile. 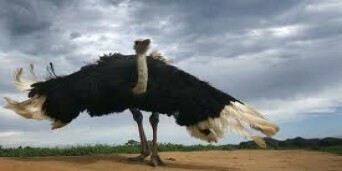 And also a big thank you to Ian and Elouise who bought us to the most awesome wildlife spots. 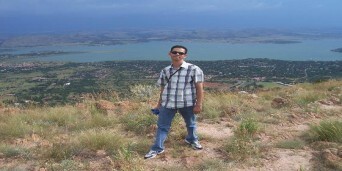 Really loved this place. Greeted with lovely smiles adn made to feel welcome straigh away by Ian and Elouise. Housekeeping staff also very friendly and helpful. Lodge to be proud of. 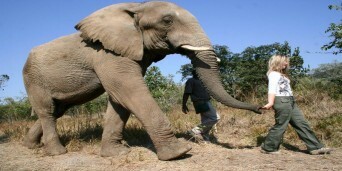 Ian thanks for the great game drives, wonderful to see the masive herds of elephants. Wonderful stay just too short. May you go from strength to strength. WOW!! 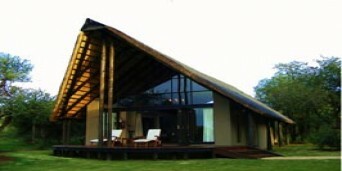 Accommodation fantastic, views are amazing words cannot describe how awesome this place is. The game drives were such an amazing experience we will remember forever. THANK YOU SO MUCH WE WILL BE BACK!! Why not share your experiences and reviews with the community and write a review for Buffalo Thorn Lodge.